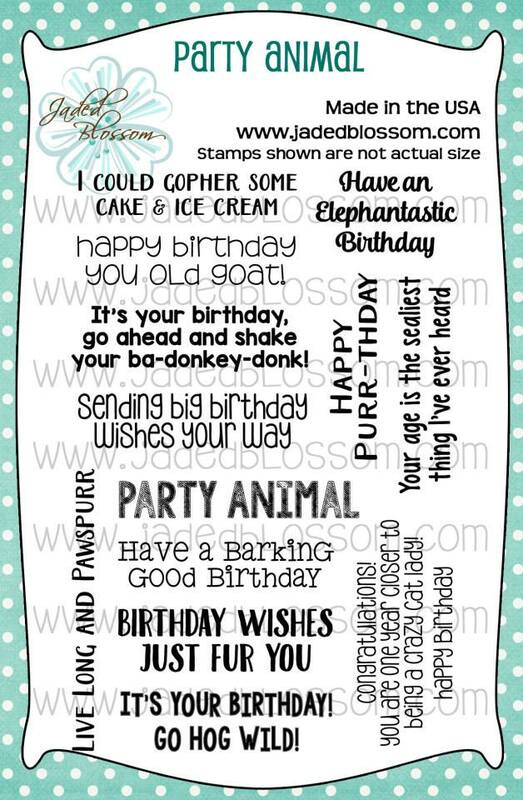 Hey everyone! It's Candace from Candi O. Designs and it's my day over at Jaded Blossom and I am sharing a card I made using the Monthly Spotlight Stamp Set ~ "Party Animal" and a treat jar tag to match!! 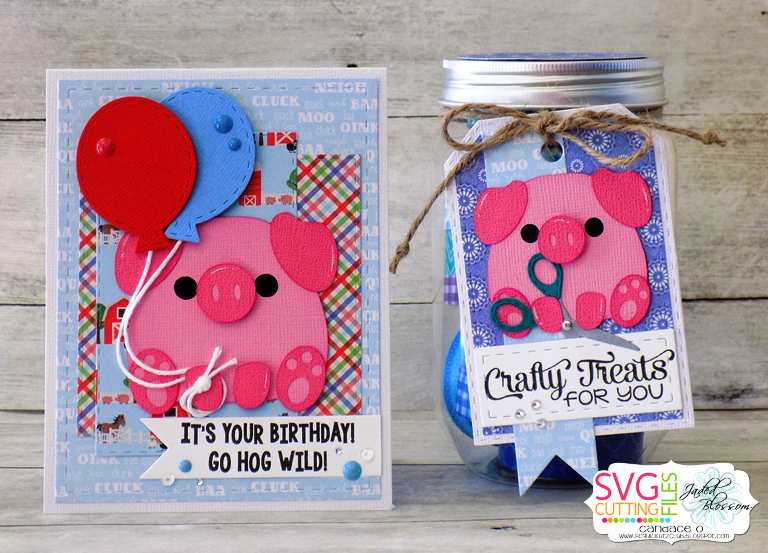 It's my friend's birthday this month and she just loves pigs!! 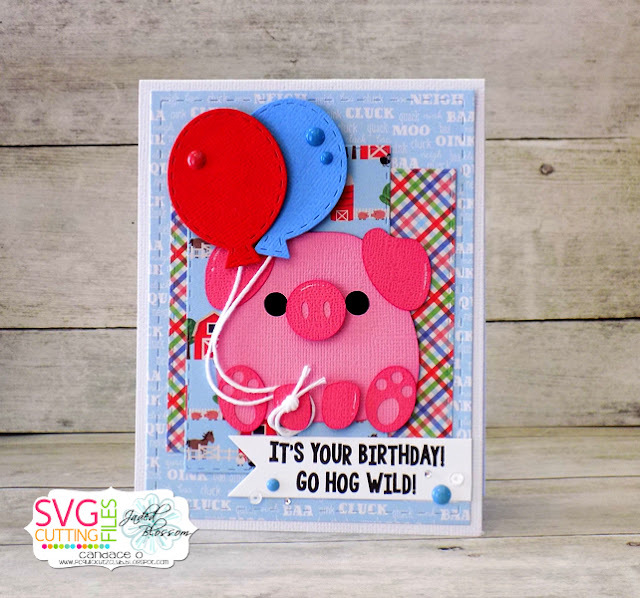 This stamp set has just the perfect sentiment to compliment the cute chunky pig cut by SVG Cutting Files for a birthday card!! 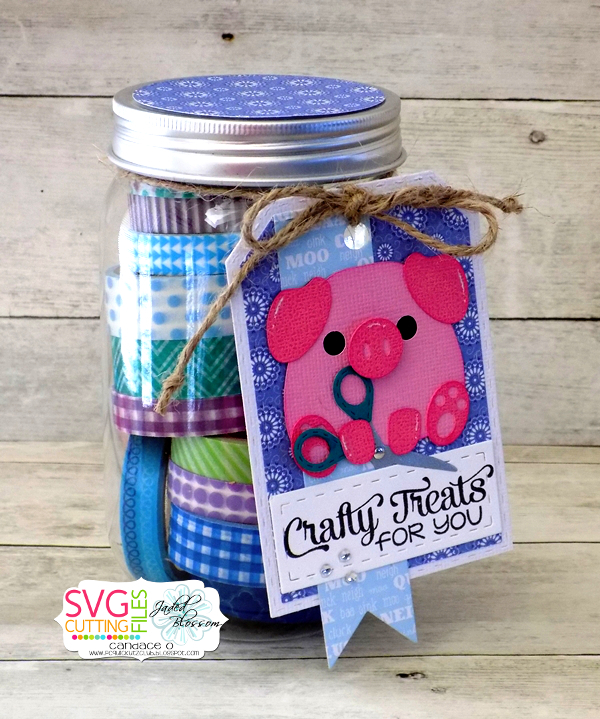 I found this mason jar filled with washi tape so I created a cute tag to match the card ~ this jar will look super cute on her craft desk!! 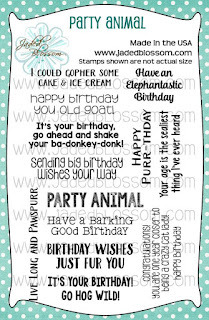 your own Party Animal Stamp Set at a great price this month! This is squealing with cuteness!